The Coastal Arts Guild will be participating in Make Music Day Stratford 2019 on Friday, June 21. Make Music Day is an international event that puts musicians and bands together with venues for free performances. Last year, eight venues and 100 artists performed throughout Make Music Day. We would like to grow it this year and get more publicity for the event and the Coastal Arts Guild of CT. There will be many volunteer opportunities available leading up to the day of the event. If you would like to help, fill out our volunteer interest form below and we’ll be in touch. We’re looking for creative and artistic people to create a fun vibe for Make Music Day Stratford 2019! Last year’s event was a lot of fun. Performers included harmonica and ukulele lessons for kids to string quartet performances and an organ demonstration and recital by Dr. Joe Utterback. 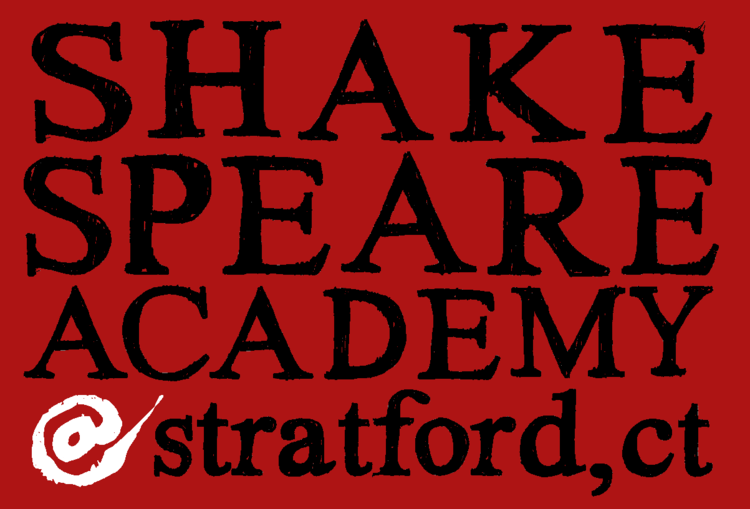 The Mighty Quinn Foundation is the 501c(3) behind the Stratford-based Shakespeare Academy @ Stratford, a summer theater program for college students; and the New Works Lab @ Stratford, a program to support playwrights and directors creating new writing. In 2016, it takes the reins for the town’s theater program, In the Spotlight, a 30-year-old, town-run theatre program for 7-12th graders. Wright operates the foundation with her husband, Chris Rooney, and their children. CAGCT: The foundation is named for your son Quinn, who died of a rare brain cancer in 2012. Tell us about why theatre. SW: For most of Quinn’s life we lived in Stratford and Quinn grew up playing on the grounds of the Shakespeare theatre. He would mow the lawn when it was in disrepair. He loved theatre. He even wrote an impassioned letter to the people at the festival: why don’t you have more young people involved? Because if you have young people involved, their parents will come to the show. It will sell more tickets. After he died, we wanted to create something to honor his spirit and joy. CAGCT: Why did you choose Shakespeare? SW: We approached two friends of Quinn’s who were recent college graduates. We had an idea of doing a theatre program on the festival grounds. They researched programs around the country and the world, and came up with the framework. It is filling a niche that had not been created elsewhere. CAGCT: You lease space from the town at “The White House” on the Shakespeare grounds for your academy. The building has had some improvements. How is the space? It’s a work in progress but it is great to have the space. We would like to have the ability to do programming throughout the year. Workshops for high school students to learn how to audition. Offer weekend classes for adult actors, that sort of thing. We want to keep expanding theatre programming, but we want to be sure we do it well. CAGCT: The foundation’s latest addition is the long-running town theatre program, “In the Spotlight,” which many Stratford-ites know well. How did that come about? SW: The town did not have the funding to keep it. So they reached out to us. Tammy Trojanowski will be helping to transition it. Three of my four children performed through the program, including Quinn. They do a musical production in the spring/summer every year for youth. The one we are doing this year is “Urinetown” (which is a really awful name for a terrific show, by the way). Alumni from the program are doing an Indiegogo campaign. And because there is not a theater that has air conditioning in Stratford, we are going to be doing the performances at the Klein Theatre in Bridgeport. Auditions were in May and the program runs June 13 through July 23. It overlaps with the Shakespeare Academy. CAGCT: It sounds like you’ve hit the ground running with this program. SW: We have tons of very dedicated “In the Spotlight” parents, alumni and advisory board members! They are helping us do different parts of the program, helping us to keep the program alive. CAGCT: You mentioned that you have other family involved in the foundation as well. SW: Joe lives in the city so he isn’t involved in the day-to-day. He is our treasurer. Our son, Brendan, is the residential life coordinator. Katie, who is a junior at Laurelton, she does babysitting for the Master Class teachers and does anything needed to help things run smoothly. She helps with taking photos. And of course [my husband] Chris [Rooney] is the Board Chairman. CAGCT: That is one dedicated family! Thanks Sue! This past week I was able to have a discussion with local artist Mick Theebs to discuss his works as well as other aspects of his life. His website ALSOTHAT.com showcases his works as well as several other artists. I had the recent pleasure of exchanging words with him as he is a member of the Guild and become more familiar with him. Coastal Arts Guild of CT: At what age did you start to get involved in art? Mick Theebs: I’ve been writing fiction and poetry for most of my life. It’s something I’ve always been compelled to do, I guess. I can’t really ever imagine life without it. Visual art, on the other hand, is a much more recent passion. I would say I started painting only four or five years ago, at most. That would put me at around 20 years old. Even then, my paintings were small and rudimentary. Only very recently have I started to take my visual art more seriously. I still have a lot to learn, but I’m enjoying myself. CAGCT: What were some of the factors that got you going in art? MT: I can’t say there was one thing that made me realize I wanted to be an artist. It was kind of a gradual thing. I always thought it would be fun to be a painter. One day I finally pulled the trigger and bought some art supplies. It’s hard to explain in a concise manner, but I believe art (writing, painting, music, performance, etc.) is the most important thing humanity has created, as it allows us to explore and document both our material and immaterial experiences. Imagine how ugly and boring the world would be without art! CAGCT: On your website, there is both photography and visual art. Do you prefer doing one over the other? MT: I prefer visual art, hands down. I originally purchased my camera to take high-quality photos of my work. I definitely enjoy taking photos, but I think there are bigger barriers to development- namely the price of quality equipment, which keeps me from honing my skills as much as I would like to. Plus, I find the experience of creating something with my own two hands more immediate and rewarding. “It’s All In Your Head” by artist Mick Theebs. CAGCT: Which piece of art of yours is your favorite and what was the inspiration behind it? MT: I have two pieces that are very dear to my heart: Kiss and Isabelle. These were the first two pieces I painted that made me stop and say “I think I might be a real artist now”. I wish there was some deeper meaning or inspiration that I could point to, but there isn’t. I was noodling around in Photoshop and ended up creating designs I liked then decided to make paintings based on those designs. These two paintings are the direct result of that process. CAGCT: When you are not creating art, what may someone see you doing on a day like this? MT: This may sound boring, but I don’t really do much besides making art. I try to spend time with my family and with my beautiful girlfriend, Kat. I try to engage the art community by attending events and visiting artists in their studios. I run ALSO THAT, which is in a constant state of improvement. I work on my fiction and poetry and have recently started branching out into script writing with a few close friends. Fit all this around a 9-5 office job and there isn’t much time for anything else. CAGCT: What is your EDSFTG (Every Day Should Feel This Good) moment? MT: Whenever I have a full day to myself, I try to set a few goals. Get some writing done, do a little painting. Read. Exercise. Do some website maintenance. I’ll write my tasks down in a little notepad and cross them off when I complete them. I would say my EDSFTG moment is when I get everything done and still have a little time to myself to relax and unwind. CAGCT: If you could be any person in the world for a day, who would it be? MT: Somehow this is the hardest question. I feel like Jerry Seinfeld has a great life. I don’t think I would mind being him for a day. If I could be anyone living or dead, I would have to say Pablo Picasso, just so I could know what it feels like to be a genius. Please welcome and get to know Alec Lessard, our first-ever marketing intern! Alec graduated in advertising last month from Xavier University in Cincinnati, OH. His specialties are design and strategy. He has worked with Aramis Consulting at Xavier University, Flipdaddy’s Burgers and Beers in social media, and in direct marketing for Momentum Marketing. He has also worked with Rhinegeist Brewery in Cincinnati as well as Findlay Market and the Cincinnati Zoo, creating campaigns for all three of these organizations. His alternative movie posters are ridiculously fun. He lives in Shelton, CT.
CAGCT: Alec welcome to the guild! You’ve just graduated from Xavier Univeristy in advertising. What part of your studies would you say surprised you the most? AL: The part of my studies that really surprised me was how many different areas and aspects of advertising we went into. The areas ranged from graphic design which I personally was to areas such as social media and media purchasing. It was a well-rounded learning experience that I am excited to use moving forward. Also, the Senior Seminar was an awesome experience. We created campaign for the Cincinnati Zoo as well as a local farm stand known as Findlay Market. We even pitched our campaigns to them and my work is actually being shown off downtown because they decided to go with my ideas. CAGCT: Of all of the social media outlets, which one do you like the best? Why? AL: I really love Instagram. I have always believed in the statement that a picture is worth a thousand words and with that being said, Instagram is all about pictures. It links your life experiences with those that follow you and anyone that wants to look up a particular hashtag. CAGCT: You work in design. Do you consider yourself an artist? AL: This is tricky because art is defined in so many different ways. When I first was starting out in design, I never really thought of myself as an artist. This was mainly because i was taking pictures from the internet and creating my own twist on them with different backgrounds and various effects. Recently, I have been getting more into what I believe can be described as art: I am more creating the different aspects of a piece such as my Batman and the Joker image I created called “You Complete Me” which then brought me to my piece where I created an image around Prince and his song “Purple Rain.” So long story short, I would classify my newer works as art while my older works are just pieces that I have had fun doing. CAGCT: Plans for after your internship? AL: After this wonderful opportunity, I am looking to getting into design for an agency either in the Connecticut/New York City area or move back towards Cincinnati where all my friends from school are. I miss them and with all of them out there it is easier to stay in touch rather than setting up phone calls or texting back and forth. You never know where the road of life will lead so why not take the less road traveled like Robert Frost said and see where it leads you. CAGCT: You are stuck on a deserted island. Who would you most prefer to have stuck with you (and why? ): Frida Kahlo, director Ang Lee, Queen Latifah or Canadian Prime Minister Justin Trudeau? AL: I would have to choose Ang Lee. I have a huge respect for a great number of his movies as I sort of call my self a cinephile. In my collection I have over 200 movies, most of them being the Marvel superhero movies, but a lot of classics and recent box office smashes. I feel that a discussion with him going back and forth would be inspiration to me to continue whatever design work I am up to at the moment. “Seasons of Love” Tickets, and other Sister Cities News. Sunday, June 12th, 4 p.m.
34 delegates represented our town at Reunion 2016 hosted in Stratford-upon-Avon, England. Our Home Stay Hosts were wonderful to us, as you were in the summer of 2014 when you did the hosting. It was an awesome good time. If you are a Facebook person, you can see photos in two places: 1) Stratfords of the World Reunion UK 2016 or 2) Stratford Sister Cities Chorus You will recognize many of our global Stratford neighbors in the pictures, maybe even your homestay. NOTE: The next Reunion of the Stratfords of the World will take place in September of 2018 in Victoria, Australia. Care to join us? Drop a line saying you would like to be kept in the loop. Would you like to see your name in the June 12th concert program? We have a “FAN” page; you can be one for a $10 donation. Respond stating the name you would like printed on the fan page and follow up with a check payable and mailed to: Sister Cities Chorus c/o 401 Hilltop Drive, Stratford 06614. Please respond by May 27. You can mail the check later. Stratfords of the World/Sister Cities will march in the Memorial Day Parade, so please join us as we strut our colors down Main Street on May 30. Our unit will gather on the north side of Christ Church at 11:45 a.m. Wear any combination of red, white and blue clothing. Look for us on June 4 at the Main Street Festival. Stop by our exhibit to say hi and see the new Stratfords of the World logo coffee mugs we had made to take to the UK and to promote our organization locally. The mugs will be available for purchase. The Friendship Garden at Boothe Memorial Park has been replanted with great help from garden designer Anne Lees of “Fleur de Lees” and many SOW volunteers who enjoyed getting down and dirty for the cause. Check it out as it fills in over the next month. Check out the latest news and opportunities from the Arts Guild. 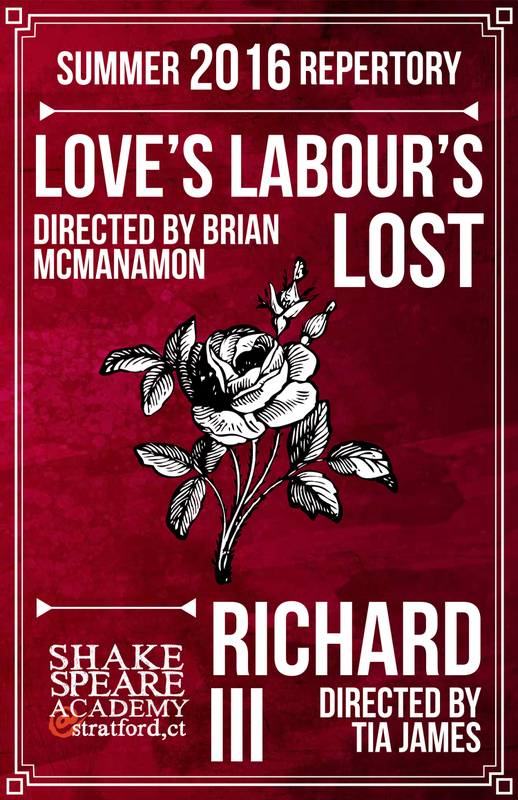 If you love art, music, theatre, writing and other creative endeavors (and you live within driving distance of Stratford, CT), please take a minute (it’s short!) to complete our survey. We want to know just what kinds of educational arts opportunities to offer you. Thanks in advance. See you soon! We continue our artist trading cards challenge this month. Members of the guild are asked to submit their original work on artist trading cards (ACEOs) at our next meeting, to be held Tuesday, March 1, 2016 at Two Roads Brewing Company, 7 p.m. Please do let us know if you think you are going to make it. Are you still wondering what’s the deal with ACEOs? Members can pick up a blank card at our monthly meetings. Or feel free to use your own heavy card stock or paper sized 2 1/2″ x 3 1/2″. You have the ensuing month to complete the project and submit it in person at the following meeting. Each month, a selection of nine (9) of the cards will be framed together and put up for sale on the Guild website, price TBD. Each artist will have a stake in the sale. The framed piece will also be available for sale at all Guild shows until it sells. The nine cards will also be added to our Zazzle Shop on various items. When sold as a group piece of art, the Guild will receive net proceeds from the sale. When items are sold individually, the individual artist will receive the net proceeds from the sale. To join in, become a member and come to our meetings. Submit any questions you have here. Thanks!